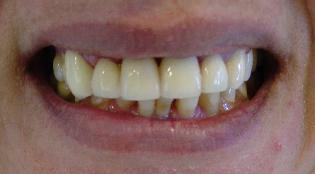 corrected her esthetic with no-prep veneers* and 3M Lava Crowns. 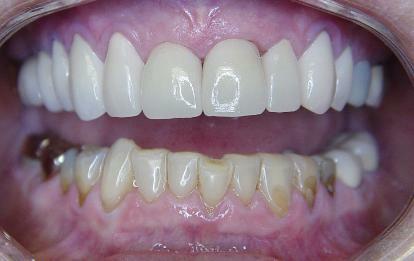 * no-prep veneers are gaining it's popularity, no shots, no drilling, no pain! 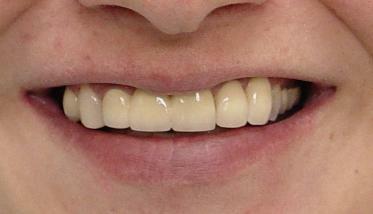 whitening Zoom**. 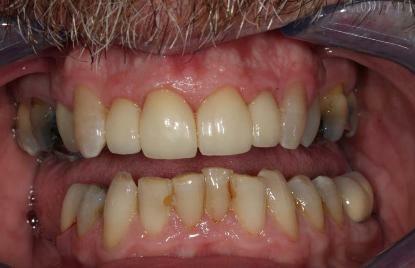 Patient was so satisfied with the result, decided not to have any more work done on her lower teeth. 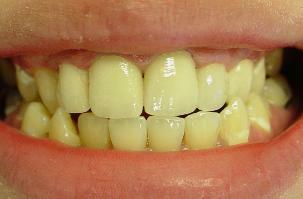 ** Zoom is one of many teeth whitening procedures we offer at our office. 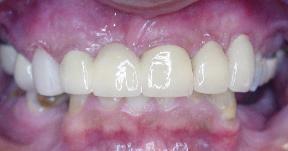 less than an hour with direct bonding technique. 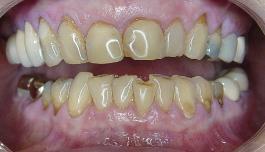 * Zirconia Crown/Bridge does not have any metal substructures, therefore over the years no worries of exposed metal! make-over. 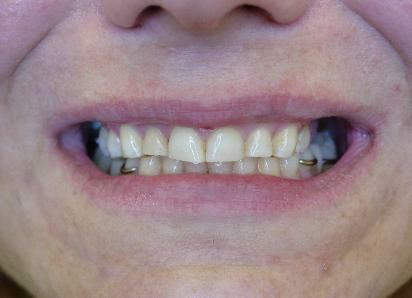 In this case, teeth #7,8,9,10 were restored with e.Max Crowns w/ gingival contour. 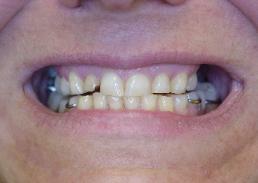 The very first thing patient said,"this is the BEST look I EVER had!" 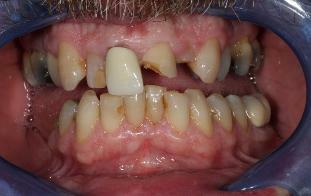 ***Gingival contours are normally pain-less! You could have this done by conventional way or Laser. Your choice!